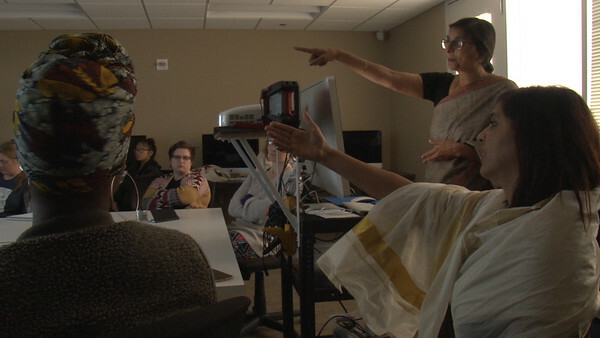 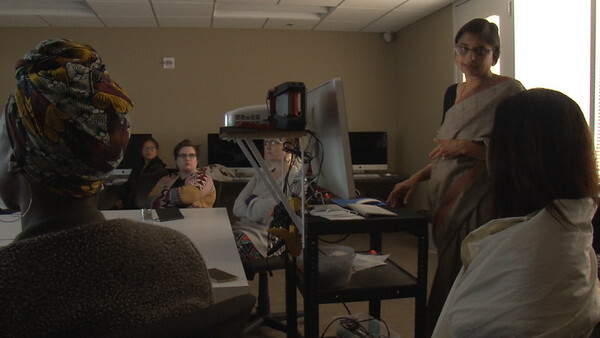 On Monday, October 24, visiting artist Lakshmi Narayan Kadambi was a guest lecturer in Meeta Mastani's course "Tactile Textiles: From 2D to 3D." 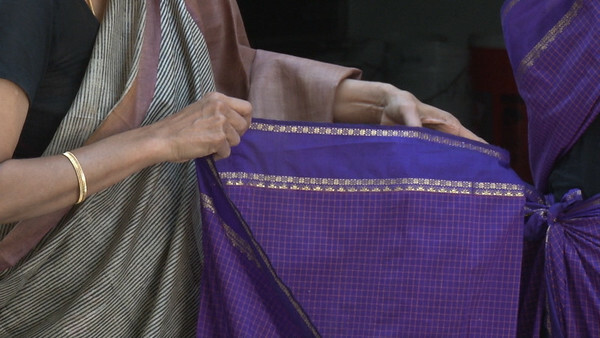 Lakshmi Narayan Kadambi is a researcher, writer and creative interventionist working with Indian textiles and crafts. 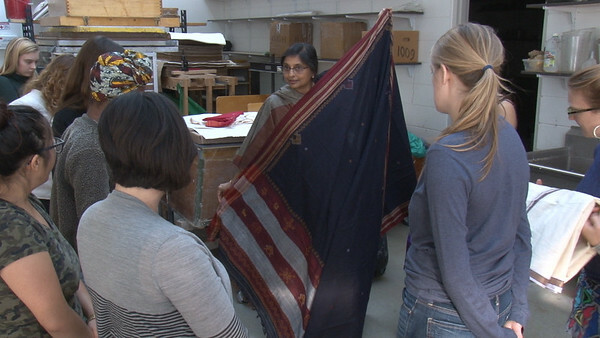 Through her program Thinkfolk, she connects communities of artists and artisans in South Asia with communities in New England, especially students, teachers and practitioners of art, design and culture. 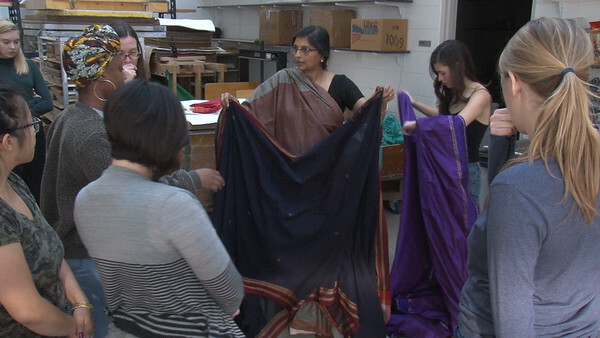 She travels extensively sharing her draping expertise and has been published in "Saris: Tradition and Beyond" and "Threads and Voices." 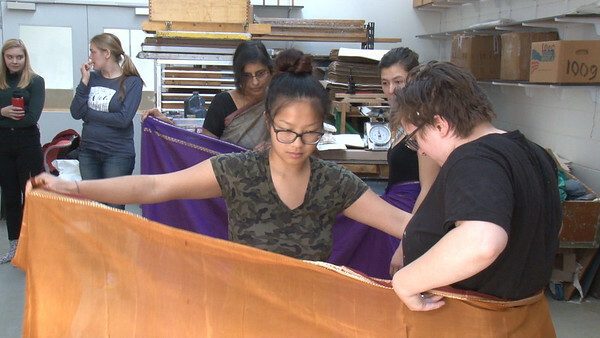 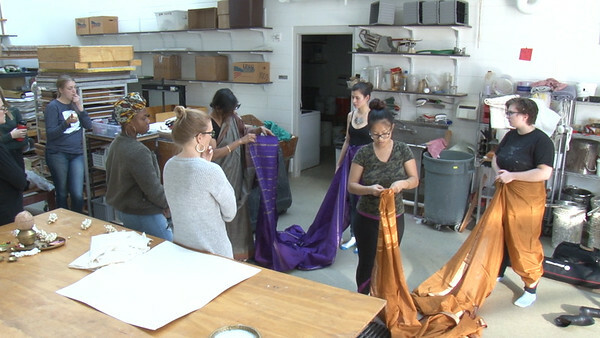 During her visit, she demonstrated and taught the art of draping textiles and talk about the changes in cultural contexts that elicit different responses in draping. 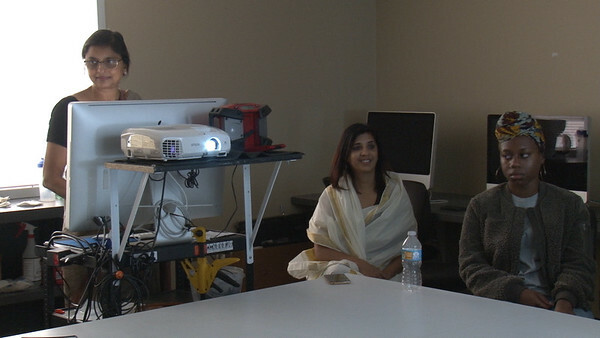 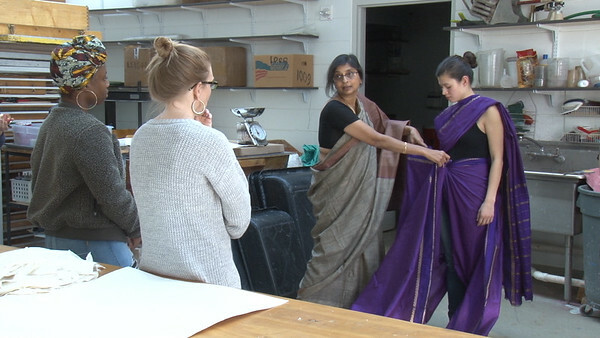 Lakshmi Narayan Kadambi guest lectures in "Tactile Textiles: From 2D to 3D"
Lakshmi Narayan Kadambi demonstrates draping with students enrolled in Meeta's course. 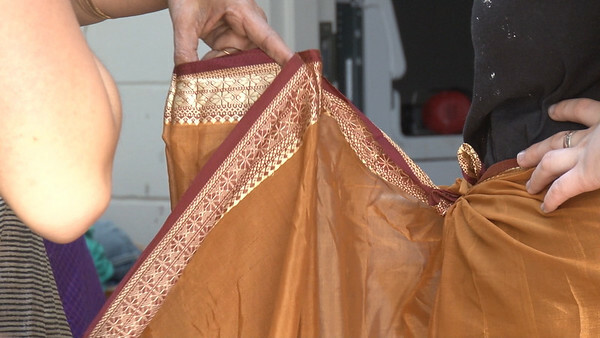 A close up of the saris.